Along the northern coast of La Gomera sits the charming and sleepy town of Agulo. Perched on a dramatic jagged cliff that halts abruptly to the Atlantic Ocean, this town is a natural balcony. 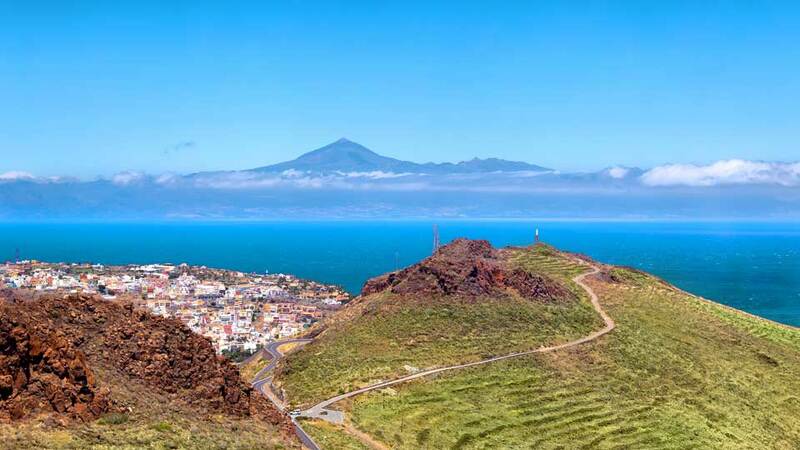 From almost every angle, the magnificent view of the vast ocean and the majestic Mount Teide dominate the scene. Known as the Bonbon of La Gomera, the charm of Agulo lies in its surrounding greenery and story-tale buildings. Delightful white-washed colonial houses with ochre roofs create a stark contrast with the lovely patchwork of banana plantations. Winding cobbled streets pave the way to quiet plazas and other interesting off-the-beaten spots. Meanwhile, the laid-back way of life and friendly locals are the kinds that warm the soul and lighten up any gloomy day. Indeed, this piece of paradise is the perfect place to be for those looking for a break from the fast-paced life. The town and municipality of Agulo are believed to be one of the oldest in La Gomera. There were only 20 of the original settlers when it was founded in 1607. Today, it has grown to over 1,200 residents. In 1774, a catastrophe took place when heavy rainfalls resulted in a devastating landslide. Still, the locals showed resilience as they rebuilt their modest abodes piece by piece. In the process, the town turned adversity into opportunity when they started growing banana. At present, this industry, aside from tourism, is at the forefront of their economic growth. Agulo, as if custom-made for the ultimate rest and relaxation, lacks holiday resorts and theme parks. What awaits visitors instead are lovely small-town strolls, awe-inspiring views and interesting landmarks and buildings. Simple and elegant neo-gothic architecture cloth the white parish church of San Marcos. The primitive church was torn down due to its grave state of disrepair. It was then rebuilt and redesigned by the diocesan architect Antonio Pintor. Inside, the image of Jesus Christ by the famed artist Pérez Donis is eye-catching. In front of the church is the laid-back Plaza de Leoncio Bento. Surrounded by traditional Canarian houses with stone and wooden balconies, this plaza is perfect for a stroll anytime of the day. It is also the witness of rituals every April 24th, an annual religious festival in honor of Saint Marcos. During this time, the whole town comes to life with Juniper wood fires spread across the streets are set alight. This colonial house is the birthplace of Jose Aguiar, one of the most celebrated 20th-century Spanish muralist. 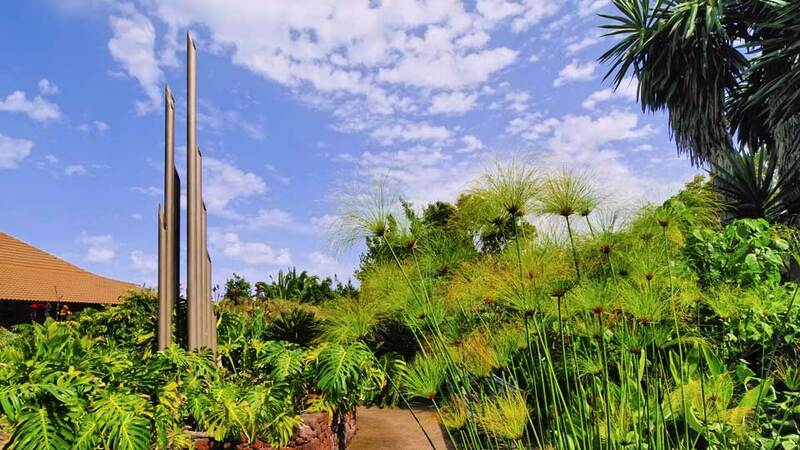 Recently renovated, to spread the legacy of the well-loved painter, it was opened to the public. Inside, visitors get lost in impressive wall paintings as well as exhibitions of other artistic expressions. Only 15 minutes away from the town center is Juego de Bolas Visitor Centre, an ideal stop for hiking enthusiasts and lovers of nature. The center houses all there are to know about Garajonay National Park, including flora, fauna, and geology. Aside from these, there are also comprehensive maps, hiking guides and guided tours within the park on Saturdays. A less-crowded viewpoint than Mirador de Abrante, Mirador de Agulo is poised by GM-1 before the tunnel. Here, visitors can take in the beauty of the town where God and humanity’s greatest creation met. Indulge in the view of nature’s splendor beyond the town, with towering sea cliffs and seemingly infinite waters of the Atlantic. The Green Balcony of La Gomera is located a little over half an hour away from San Sebastian de La Gomera. Visitors driving on their own may take the GM-1 motorway, passing by some of the islands most emblematic sights. Meanwhile, La Gomera Airport on the other side of the island is an hour-drive. From the airport, guests may take the GM-3, CV-14 and then GM-1 motorways to get to Agulo. There are no bus routes that take visitors straight to Agulo. Even so, the reliable car hires with offices across the island are great alternatives. Also, this would allow guests to explore the nooks and crannies of the La Gomera that are rarely covered by routes of public transport. 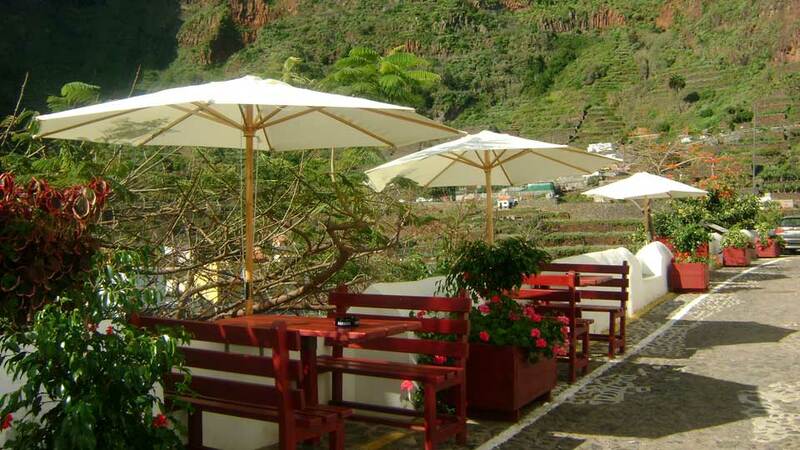 Some of the most beautiful accommodations in the north of the island are in Agulo. Even without 5-star hotels, the town offers cozy holiday rentals that would make visitors feel relaxed and at home. Set around a fern-filled courtyard of a 19th-century house, Casa Rural Los Helechos offers comfortable traditional units. Each unit is fully-equipped with a dining area and a small kitchen with a refrigerator. For some unobstructed views of the ocean and beyond, head to the roof terrace. Those looking for ultimate relaxation must also try their massage and physiotherapy at an extra cost. In the center of the town is this charming colonial-era building with great views of the surrounding cliffs and the countryside. The rooms, with traditional architecture, are built around an open-air courtyard with lounge chairs, fountain, and greenery. Each room is also well-equipped and the entire compound has WiFi access. The hotel also prides itself on its accommodating staff and excellent overall service. Wake up to a fantastic view of the ocean in one of the two semi-detached villas situated near a 1000-meter cliff. Located in the village of Lepe on the outskirts of Agulo, the adults-only accommodation includes a spacious living room and kitchen. Clean bedroom with air conditioning, convenient access to the beach, guests has nothing more to ask. 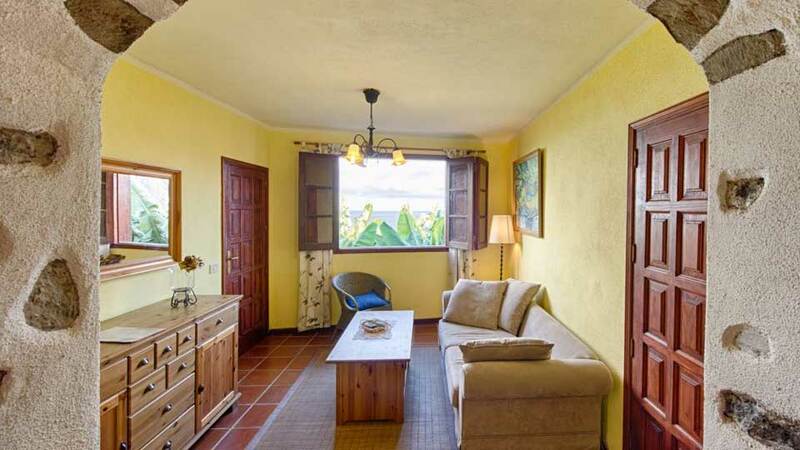 Cozy Living Room at Casa Rural Los Delfines (Adults only). All the enjoyable hours spent exploring will surely get visitors starving. It’s a good thing Agulo has strategically-located restaurants near the routes tourists usually take. The town boasts a plethora of cuisine options, local or international, that will satisfy any cravings guests may have. 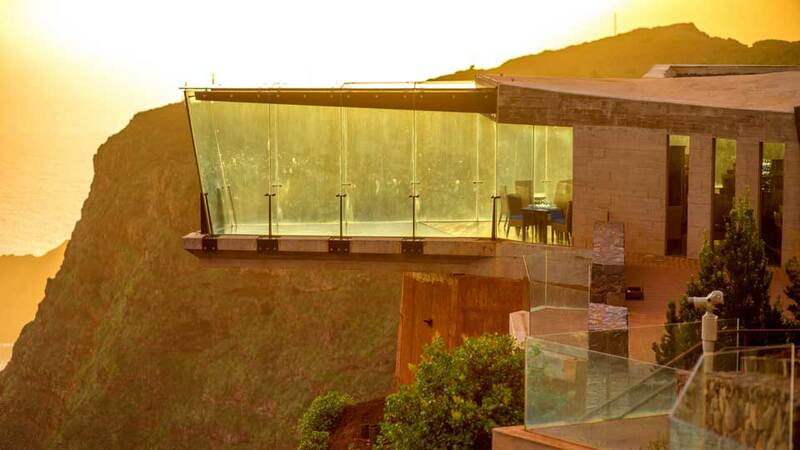 High up on the ravine, Mirador de Abrante allows visitors to enjoy their meals while savoring the great land and seascape views. The food is faultless, with unique modern twists to local Canarian dishes. Some of the must tries are their fresh goat cheese, croquettes and tomatoes with avocados. The restaurant service also has a local touch, with a compelling demonstration of Silbo Gomero or the island’s ancient whistling language. For the right dose of delicious Spanish cuisines, head on over to Restaurante La Molina. This restaurant offers affordable meals with generous servings that can be topped off with the best local wines. The owner’s friendliness, as well as the cozy atmosphere, makes it feel like dining in an old friend’s house. This family-run restaurant, set in a colonial house, serves excellent Spanish and Mediterranean food, as well as local wines. Enjoy the salted potatoes, the freshest seafood, and their goat stew. On a good day, as most days are in Agulo, the outdoor seating affords guests with a great view of the town and up the ravine. La Vieja Escuela is also one of the few to support the European Charter for Sustainable Tourism. From its traditional Canarian-style houses to its immaculate cobblestone streets, Agulo is flawless. It is a stark contrast to the surrounding grandeur of nature, the ocean and the green beds of banana plantations. But the real beauty is beyond all the eyes can see from afar. Up close, while strolling down the lovely paths, visitors can’t help but admire the unique atmosphere in the town. It has its unique way of calming one’s spirit. Venturing out to this bonbon of La Gomera is more of a retreat than a visit. It is no wonder why Agulo is known as the prettiest town in La Gomera.